The start-up- backed by Microsoft founder Bill Gates- operates with the mission to find plant-based substitutes for eggs, poultry and other meats. They argue the substitutes would alleviate waste, pollution, disease outbreaks and animal abuse due to the tiny spaces the chickens are confined to. Plant-based alternatives to meat could also be good for the environment and people’s health. Reducing the consumption of meat- especially in heavy meat-eating countries like the U.S.- would save large amounts of land, water and crops and reduce outbreaks of diseases such as avian flu. “Our approach is to use plants that are much more sustainable- less greenhouse gas emissions, less water, no animal involved and a whole lot more affordable- to create a better food system,” said Josh Tetrick, the company’s CEO. What do the egg and meat industries say of all this? “Our customers have said they’re not interested in egg substitutes. 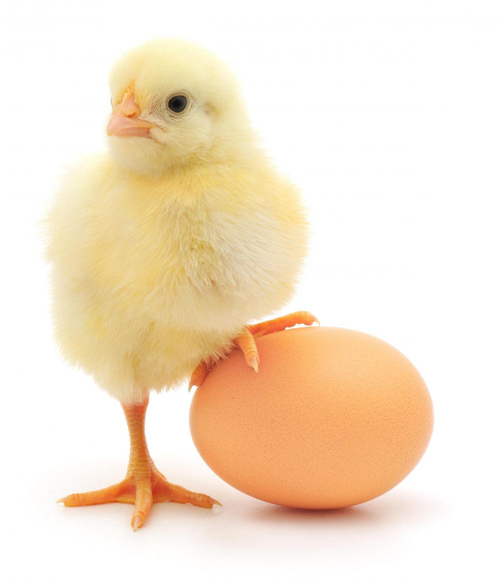 They want real, natural eggs,” said Mitch Kanter, executive director of The American Egg Board-funded Egg Nutrition Center. “People who consume a lot of meat really like meat, and to convince them to try something different may be extremely difficult,” said Claire Kremen, faculty co-director of the Berkeley Food Institute at the University of California, Berkeley. Despite the naysayers, Hampton Creek is resolved to crack this case. 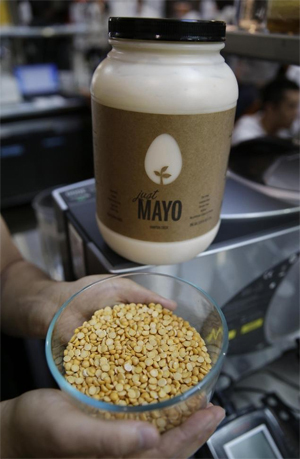 The company’s first product, Just Mayo mayonnaise, is sold for nearly the same price as traditional mayo. On deck is an egg-free cookie dough and a batter that scrambles when fried. Personally, I like my eggs. I like the shape, and I like the taste. If Hampton Creek can replicate those two but get rid of the smell, then they’ll have my attention. Until then, Happy (Egg) Hunting, fellas!